Please read the attached flyer carefully as there is a minimum fish weight addendum at the end pertaining to certain fish. Remember this is a shore dive competition. 1. Must have a valid Spear fishing license and present it at the registration. 2. Only one fish per species will be allowed. 3. 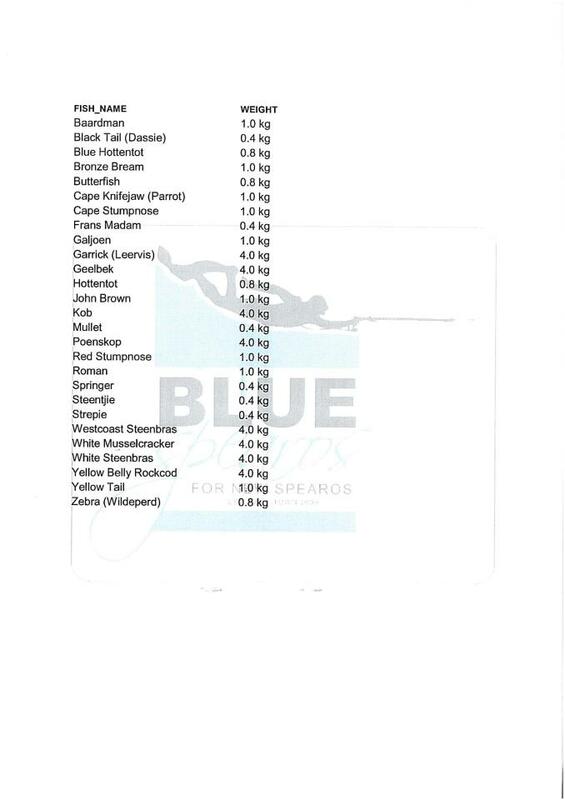 Minimum size as per list and quota of fish as per MCM regulations. 4. Presenting undersized fish at the weigh-in will automatically disqualify the entrant. 5. Maximum weight for maxi weight = 4kg. 6. Fish may be weighed un-gutted. 7. 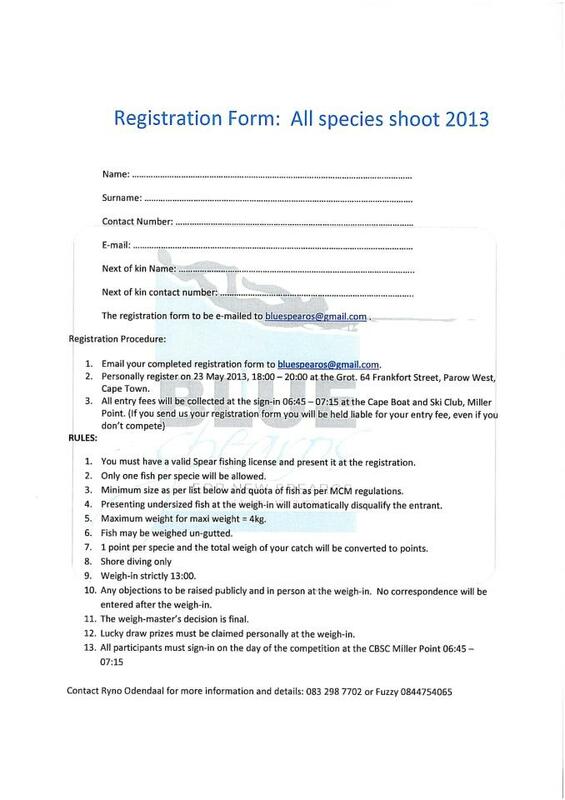 1 point per specie and the total weight of your catch will be converted to points. 10. Any objections to be raised publicly and in person at the weigh-in. No correspondence will be entered after the weigh-in. 11. The weigh-master’s decision is final!